Gionee has launched a new mid-range smartphone Gionee A1 Lite in Nepal and it will be available in the country priced at Nepalese Rupee 26,999 (around $262) and will be available for pre-order starting June 18th in Nepal. It comes with Red, Black and Gold color options. It comes with a metal unibody design and has a fingerprint scanner on the rear panel. It comes with a bigger battery and comes with Android 7.0 Nougat OS out of the box. We have a Mediatek processor under the hood. There are no details available about its global availability ad pricing. 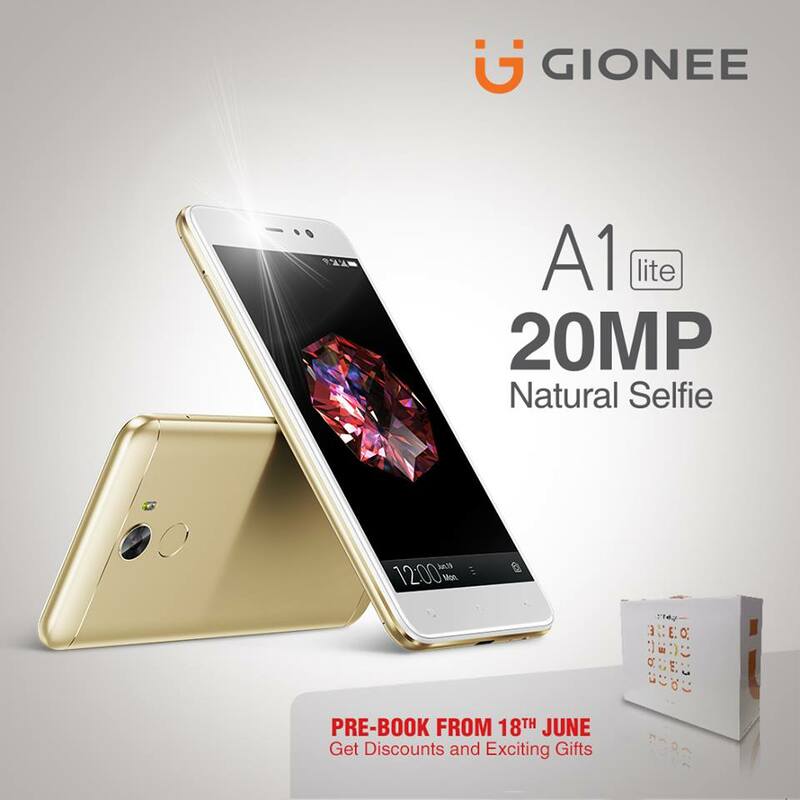 The Gionee A1 Lite features a 5.3-inch HD display with 1280 × 720 pixels resolution and is powered by a 1.3GHz octa-core Mediatek MT6753 processor with Mali T-720 GPU. It comes with 3GB of RAM and comes with 32GB of internal storage capacity which is further expandable up to 128GB with micro SD card slot. It runs on the Android 7.0 (Nougat) with Amigo OS 4.0 and supports Hybrid Dual SIMs (nano + nano / microSD). It features a 13-megapixel rear camera with LED flash and also comes with a 20-megapixel front-facing camera with soft LED selfie flash. It is backed up by a 4000mAh battery and connectivity options includes 4G VoLTE, Wi-Fi 802.11 b/g/n, Bluetooth 4.0, GPS and USB OTG. It has a fingerprint scanner on the rear panel as we already discussed. Gionee launched its flagship Gionee S10 smartphone last month that comes with a 5.5-inch Full HD LTPS 2.5D curved glass display with 1920× 1080 pixels resolution and is powered by a 2.5GHz octa-core MediaTek Helio P25 processor with Mali-T880 GPU. It comes with 6GB of LPDDR4 RAM along with 64GB internal storage capacity that is further expandable up to 128GB with microSD slot. It runs on the Android 7.0 (Nougat) with Amigo 4.0 OS and supports Hybrid Dual SIMs. It features a dual rear camera setup with 16-megapixel + 8-megapixel sensors having dual-tone LED flash. It also comes with a dual front facing camera with 20-megapixel + 8-megapixel cameras. It is backed up by a 3450mAh battery and connectivity options includes 4G LTE, Wi-Fi 802.11ac (2.4GHz + 5GHz), Bluetooth 4.0 and GPS. It has a fingerprint sensor on the front facing home button and it measures 155 x 76.78 x 7.35 mm with 178 grams weight.